to run Win7 512+ Mb RAM 1+ GHz CPU) from a USB/thumb drive ever created! If your are running XP download and follow THIS GUIDE: http ://ub3r.1337. cx/xp before doing anything else [not required for external USB drives]! The installer *may* not work correctly on XP its recommended to install from 7/Vista. your USB drive it will be formatted during the installation. and press F8 F9 F11 F12 option or another key depending on your hardware. and the USB drive to (any) computer (re)start it and choose "USB" from the menu. 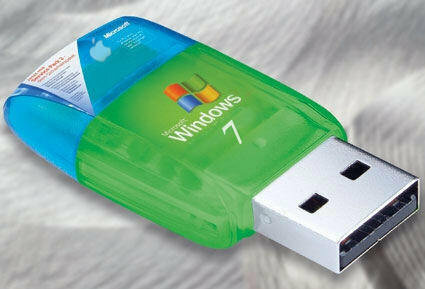 Thats it enjoy carrying a full copy of Win 7 Ultimate in your pocket! yourself a cup of coffee its going to take long time. choose "extend volume". Keep pressing next. it with the included "fix boot.bat" tool. file back to the USB drive (replace the existing file). No files will be lost! You can mount the virtual system partition from any other Windows 7 installation! then access (or recover) all your files. -Lots of fixes a completely new installer can now be installed to any USB drive! disks and that performance may suffer. Steam - now you can carry all your favorite games with you - everywhere! uTorrent - never stop downloading and seeding! your new portable Windows on!